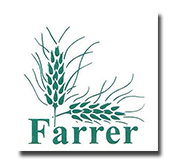 Farrer Primary's Communication Day is Thursday of each week. All newsletter and additional notes are sent home on this day to the eldest child of each family. In addition to newsletters being sent home in hard copy to families, and available via our website, we also offer the option of sending the newsletter to parents/carers via email. If you would like the newsletter emailed to you please contact the Front Office via email on info@farrerps.act.edu.au or by calling 6205 7911. Click on the links below to take you to the newsletter containing all the information you need to know about school for that week.